Dr. Perry Sheffield, TCEEE member and Assistant Professor in Preventive Medicine and Pediatrics, was quoted in an article describing the health effects of climate change, which have particularly important implications for children. Dr. Sheffield also serves as the Deputy Director of Mount Sinai’s Pediatric Environmental Health Specialty Unit (PEHSU) and her research has focused on climate change and related health consequences, such as asthma. This entry was posted in In the News on October 27, 2015 by mountsinaitceee. TCEEE member Dr. Elizabeth Garland was quoted in an article describing the health benefits of green building policies and practices. Dr. Garland has conducted research on the health effects of green public housing in NYC, and was recognized for her work with an award from the American Public Health Association in September, 2015. This entry was posted in In the News on October 21, 2015 by mountsinaitceee. We are proud to announce that Dr. Manish Arora and Dr. Hirofumi Morishita have won the inaugural Faculty Idea Prize from Sinai Innovations for their work on the development of new biomarkers of brain plasticity. They will apply this technology to study environmental determinants of neurodevelopmental disorders such as autism and schizophrenia. The Faculty Idea Prize is designed to highlight a collaborative, innovative, research idea that can potentially be translated into a marketable product that can create value through the development of therapeutics, devices, diagnostics, or digital health applications. This entry was posted in In the News on October 10, 2015 by mountsinaitceee. 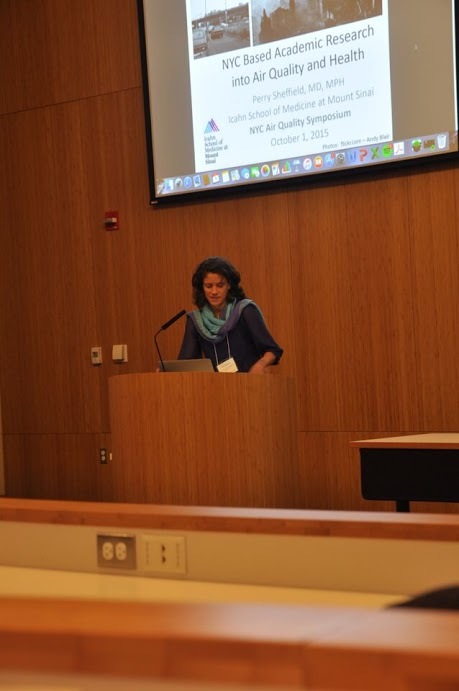 The NYC Air Quality Symposium took place at the CUNY Advanced Science Research Center on October 1, 2015. 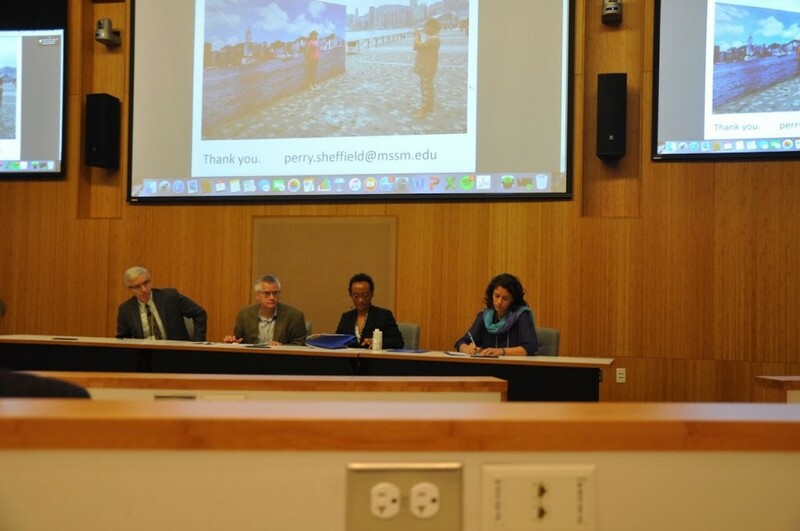 Dr. Perry Sheffield, TCEEE member and Assistant Professor of Preventive Medicine and Pediatrics, participated in a panel on the Public Health Context of Air Pollution. Dr. Sheffield discussed academic research on air quality and health taking place in NYC. Air pollution is one environmental factor that presents a significant problem for health outcomes, particularly in children. This entry was posted in In the News on October 2, 2015 by mountsinaitceee.